Key Difference: Flat panels are lighter and thinner compared to old cathode ray tube (CRT) sets and have width of less than 10 centimeters. Flat panel displays are of two types: static and volatile. 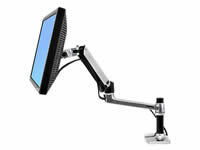 Plasma, LCDs and LEDs are type of flat panel displays. Plasma is a volatile flat screen display technology, which is developed using noble gases that are electrically heated to produce light. Today’s generation wants it all; it is no longer just this or that. Even among TVs, buyers want bigger, thinner and lighter, all with an amazing picture quality. With the continuous upgrade in technology, TV manufacturers are churning out thinner flat display panels with better image quality, higher resolution and faster refresh rates. Flat panels are lighter and thinner compared to old cathode ray tube (CRT) sets and have width of less than 10 centimeters. Though the concept of a flat panel display was introduced by GE, University of Illinois is credited with developing the first ever working display panel in 1964. 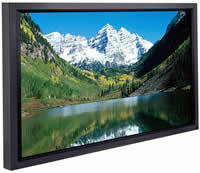 Flat panels are used in various applications such as, televisions, computer monitors, cell phones, laptops, digital cameras, camcorders, etc. Most commonly used flat panel displays use Liquid Crystal Displays (LCD) technology. Flat panel displays are of two types: static and volatile. Static displays are developed using materials whose colors are bistable, meaning they don’t require energy to hold a state, but require energy to change the image. These are more energy-efficient, but have a slower refresh rate compared to volatile displays. Static displays are most commonly used in cholesteric displays, for outdoor advertising purposes and electrophoretic displays, in e-book products. Volatile displays are the opposite of static displays and require energy for constantly refreshing pixels in order to retain images. Refreshing is required to be done many times in a second, which is also known as the image’s refresh rate. Volatile displays include Plasma, LCD (liquid crystal display), LED (light emitting diode), OLED (organic light emitting diode), AMOLED (active-matrix organic light-emitting diode), ELD (electroluminescent display), DLP (digital light processing), SED (surface-conduction electron-emitter display) and FED (field emission display). SEDs and FEDs are still under development and are not yet commercially available. to produce light. Plasmas are most beneficial for displays bigger than 40 inches and are praised for producing good image quality, good picture color depth, excellent contrast ratio, and better motion. A plasma display has tiny cells of noble gases (neon and xenon) and a small amount of mercury in compartmentalized spaces between two glass panels. The panels also have two electrodes between the glass panels, an address electrode and the display electrodes. In order to create the pixels, the address electrode and the display electrodes are charged, which then releases an electric current that flows through the cell. The charge stimulates the gas atoms in the cells to release ultraviolet photons. The photons interact with the phosphor material on the cell walls and give off light, creating a visible light photon. Each pixel has three subpixels, one coated with red, one with blue and one with green. By manipulating the intensity of the current, the system can produce hundreds of different combinations of the three colors and creates an image on the screen.